Tenacious, determined, and resourceful, Andrew is highly successful in identifying and implementing innovative solutions across diverse environments. A visionary leader and hard-working go-getter, he rises to the occasion when met with business challenges and enjoys collaborating with teams from the initial design stage to the implementation phase. Prior to joining Propeller, Andrew spent seven years in financial services at M&T Bank leading process improvement and change management projects. He diversified his experience by working as an independent strategy consultant on projects domestically and globally. While still in college, he successfully launched his own precious metals e-commerce business and founded a program geared towards students to foster economic education. 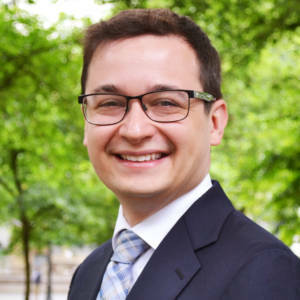 Andrew holds a bachelor’s degree in economics from the University of Rochester and an MBA from the University of Maryland.